We thank you for your kind words! Please take a moment and share your reviews/testimonials with others by logging into either your Google, Yelp or your Facebook Account and posting your review. Below are physician and patient testimonials we have collected in our office. “So happy with the treatment from Dr. Chhiba, my feet feel great! Thank you so much. She knew what to do, even though it wasn’t comfortable it had to be done. Big thank you!” —Elberta C.
“It’s been ~2 years since I was treated by Dr. Helms for Achilles tendinitis, and have had zero issues since then. We decided on the shockwave therapy and it worked well. Dr. Helms then recommended two exercises to be done each day: rolling the calves (I use The Stick) and eccentric activity; I have been dutifully doing these exercises every day since then. I’m 59 years old running 5–7 miles four days/week, easy pace (9-10 min/mile), and both Achilles feel great.” —Bill A. “Dr. 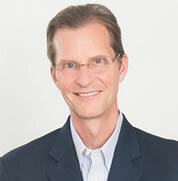 Helms is a leading Indy Podiatrist. He corrected a previous surgery and gave me more toe movement than I thought possible. His staff is also highly professional and very courteous. I recommend Dr. Helms very highly.” –Irene N.
“I had a bunionectomy and was so pleased with the procedure that Dr. Michael Helms conducted. I had minimal pain and was back to work right after my pin was removed at week 4! I am so grateful to Dr. Helms and his staff. I couldn’t have expected better!” –Katherine M.
“After several weeks of suffering stinging foot pain, I went to Dr. Helms. He quickly diagnosed the problem and recommended a brace. This helped the problem greatly. Dr. Helms was very friendly and courteous. He explained the problem so I could understand. High recommendations for Dr. Helms!” –Richard H.
“I’ve been to Dr. Helms for two foot issues and both times I had immediate relief on the last visit and excellent long term relief after 3-5 visits. He has a great chair side manner, is pleasant, and explains the issues well.” –Phil S.
“Thank you to Dr. Helms and staff! My foot pain that I have had for 20 years is gone. I believed that foot pain was normal as we age—thank you for showing me that is not the case. Your treatment was effective and the care, professional.” –Leslie K.
“I have such respect for Dr. Helms and his staff. Everybody does a great job with care, concern, and service. What a pleasure it is to be with such a wonderful staff.” –Mike B. “I had bunion surgery in May, 2015 and I am happy to say the results are fabulous! My foot is beautiful. I will definitely be seeing Dr. Helms for any future podiatry issues. 5 stars!” –Sarah H.
“My daughter came to see Dr. Helms with severe shin pain that had restricted her from completing workouts. We had tried so many things to try to help her without any success. We found Dr. Helms on line and read reviews and knew this was the place to go. After just a couple visits she is pain free and running strong. She is so excited and thankful for his help. She never thought she would ever run without pain!” –Melissa W. for daughter, Isabel W.
“An 11 year old with a bunion? Yes! I really appreciated the knowledge shared not just telling us what needed to be done, but explaining why and how things occurred, and what outcomes to expect. I was concerned about the surgery, yet was glad when other options didn’t work, surgery was the best solution.” –Judy E.
“Dr. Helms was really nice and he talked to me the whole time, plus he answered all of my questions efficiently and in a way I could understand as a 15 year old. I came into the office with painful warts on both of my big toes. After just a few special in-office treatments, the warts were gone!” –Hope M.
As a avid runner, I know first hand what its like to deal with foot and ankle pain! As your foot and ankle care physicians, Drs. Kellie Higgins, Rachel Chhiba and I will make sure you get the best possible treatment. If you are interested in running, I have provided links to area shoe stores that specialize in running.